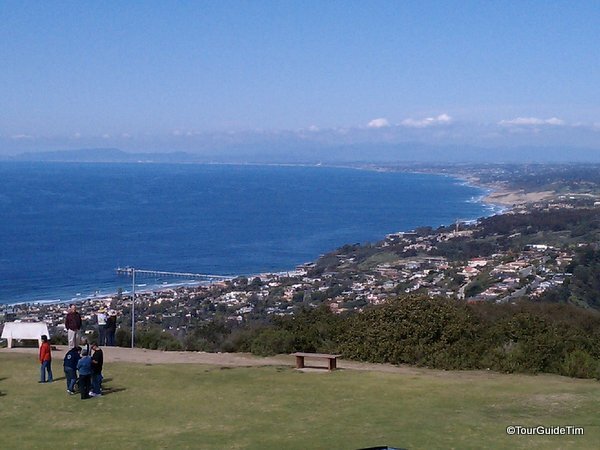 Top 10 Reasons People Relocate to San Diego - TourGuideTim Reveals San Diego! A 2014 survey released by the American Planning Association reinforces something that those of us in the San Diego tourism business in particular and most San Diegans in general have always known…San Diego is the most desirable place to live in America. Sometimes locals get caught up in the day-to-day grind and forget to appreciate how wonderful San Diego is as a place to live. Almost every day I’m reminded not to take it for granted because I get to hear it from my tour guests how they all want to move to San Diego. The cost of living deters most but some of them actually have moved after joining me for a tour. San Diego came out #1 in the survey overall, #1 among the Boomer generation, and #3 among the Millennial generation behind New York and Los Angeles. Based on my experience living in San Diego since relocating here in 1998 and based on what I hear from guests on my San Diego tours, here are my Top 10 Reasons to Relocate to San Diego. Add your thoughts below! 10. We get so little rain in San Diego that we don’t have to be pestered by flies, mosquitoes and gnats. Some guests notice there are homes that don’t have screens over their windows and then realize they haven’t been bothered by mosquitoes and flies while visiting America’s Finest City. 9. Despite the lack of rain, we are home to more varieties of trees and plants than any other place in the United States. I love being able to show guests beautiful flower blooms in February. 8. It’s easy to travel back home to visit with friends and family. Our small San Diego airport is less than a mile from downtown, rarely has delays, and offers direct flights as far away as London and Tokyo. 7. San Diego offers all of the cultural amenities of a big city (8th most populous in the U.S.) but it still feels like you live in a small town. The City of San Diego is spread out over a large area and is made up of over 50 communities with volunteer town councils, planning groups, and park and recreation councils so it’s easy to get involved in making your community a great place to live. 6. As a tourist attraction, it’s easy to enjoy an inexpensive ‘stay-cation’ right here in San Diego. The San Diego Zoo, SeaWorld, LEGOLAND California, the museums at Balboa Park all have annual passes that usually equal the cost of one or two visits so you can spend as little as two hours or until the kids get ornery and then had back to your favorite theme park the following weekend. Living in San Diego is the closest thing to a perpetual vacation. 5. No matter what your skills are, you can find a job in San Diego. If you need an entry-level job to work your way up, we have a large tourism industry that offers that and if you’re a rocket scientist or Nobel prize winner, you’ll probably find more of them working here than in any other city in the world. For the past few years, former President Bill Clinton has spent so much of his time to persuade other cities to do what San Diego has done to attract these bright minds that he jokes he should be on the city payroll. 4. The local landscape stretching from the Pacific Ocean to the local mountains and desert creates one of the most beautiful natural environments surrounding any city in the world. Downtown San Diego and Mission Bay may be flat but guests who join me on the Coastal San Diego Tour that takes us up to a hilltop overlooking the entire San Diego region and beyond quickly realize the rest of San Diego is made up of canyons, mountains, and seaside cliffs. 3. 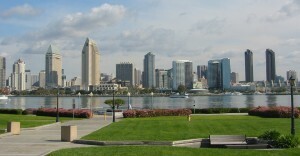 San Diego is rated near the top of all cities for best park systems that are accessible within a 10 minute walk of one’s home. Better yet, San Diego County is home to massive State and National Parks, 4,600 acre aquatic park, 53 miles of city beaches, 6,000 acre underwater park, and wildlife corridors that extend from our ocean to the mountains and desert that contribute to the thousands of miles of hiking trails in San Diego County. 2. One of the most common unsolicited comments I get from my tour guests is how friendly everyone is in San Diego and how helpful they are. It’s one of the unexpected benefits I noticed when I relocated to San Diego making it easy to find new friends and falling head over heals for my new hometown. 1. The number one reason to relocate to San Diego is also the main reason that makes the other 9 reasons for relocating to San Diego possible…..the WEATHER! Average highs in the summer are mid to upper 70s and the average highs during the winter are mid to upper 60s. To top it off, San Diego only averages 10 inches of rain a year. Great weather puts people in a good mood. People with good moods are friendly to one another. Good weather means no weather delays at the airport, plenty of outdoor fun at the local attractions and parks, lack of mosquitoes and on and on! Bonus Tidbit: More than half of San Diegans relocated here from outside the State of California. If you want to learn interesting tidbits about San Diego, follow this blog or one of the Social Media links I’ve posted in the sidebar. 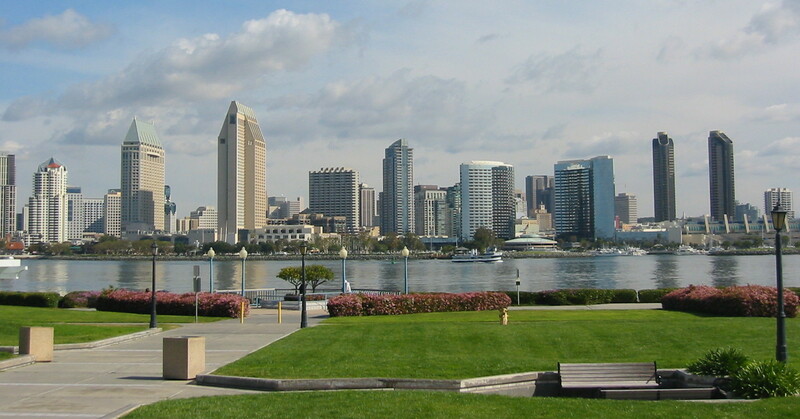 Read more posts about: San Diego in the Top Rankings |You can leave a response, or trackback from your own site. Is San Diego a good place to retire? Is it expensive? How is the medical system? The medical systems are great and have become a bit of a destination where people come here from throughout Southern California for their medical care. Some of the bigger names are Scripps, UCSD, and Sharp. It is expensive here depending on where you are coming from. Everyday things tend to cost a little more in California because of regulations…for example, fuel prices are higher because CA requires the cleanest fuel in the country (and supposedly the world) to limit pollution and help the environment. Housing costs more because we require a significant amount of open space to be set aside for wildlife and we build homes to help withstand earthquakes…speaking of which, San Diego is less prone to earthquakes than Los Angeles and San Francisco because we are much further away from the San Andreas fault. Housing is also expensive because many people around the world who have money end up retiring in San Diego because the weather is great and there is so much to do. For example, for about $100, my wife and I can go to the San Diego Zoo and San Diego Zoo Safari Park all year long. There are thousands of miles of free hiking trails providing views from the ocean to the mountains and desert. We have many cultural options from museums, orchestras, and operas to professional sports and lectures by some of the greatest minds in the world working at the research institutes surrounding Torrey Pines and UCSD. 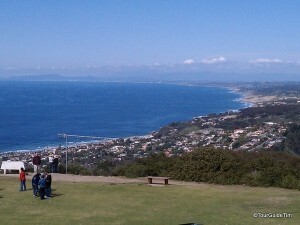 I’m happy to answer more questions about retiring in San Diego.